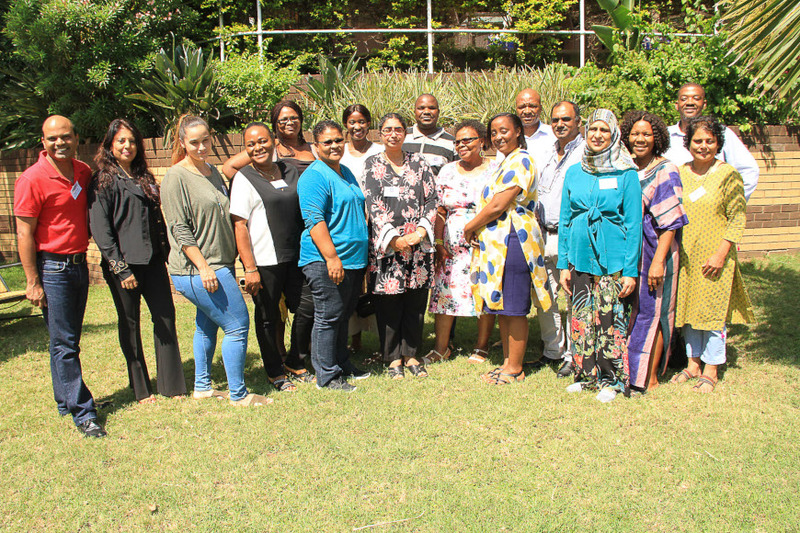 The Durban University of Technology’s (DUT’s) Centre for Excellence in Learning and Teaching (CELT) hosted a 3-day proposal development workshop as part of the Scholarship of Teaching and Learning (SoTL) Fellows Programme from 13 to 15 March 2019, at Protea Hotel Karridene. The workshop was attended by 15 staff across five faculties of the university. The external facilitator was Professor Labby Ramrathan, a C2 rated NRF researcher. Prof Ramrathan’s extensive knowledge in the area of higher education research as well as his warmth and compassion, were welcomed by all participants. By the end of the workshop, all participants had conceptualised their draft research plans which will be refined over the next few weeks. The SoTL Fellows Programme is an annual, University Capacity Development Programme (UCDP) funded programme that aims to nurture and develop the capacity of staff to engage in the scholarship of teaching and learning. The underlying purpose of SoTL is to promote the same rigor to teaching as one would to research, thereby strengthening the nexus between research and teaching. This means that SoTL involves deliberative inquiry into the academic project. SoTL is a rigorous systematic inquiry/ research into all aspects of higher education learning and teaching (assessment, curriculum, policy, purpose, philosophy, etc.). The systematic process follows principles and rigor as with all forms of research. SoTL involves making public such inquiries/research (through presentations in conferences, symposia, colloquia and through publications); the research is open to critique by peers; it contributes to building knowledge in the field about the phenomenon and enables others to build on the work. The SoTL Fellows Programme contributes to DUT Strategic Focus Areas through an emphasis on innovative learning, teaching and assessment, promoting and supporting research in all aspects associated with higher education learning and teaching, promoting a culture of continuous monitoring and evaluation of the academic project through a transformative and sustainable staff professional development programme. The programme is underpinned by the principles of transformative educational practices that seek to develop ongoing critical, systematic inquiry into student learning that is beyond reformist approaches and remediation. The programme seeks to engage academics in researching challenging problems associated with student learning in light of the complexities and challenges currently confronting higher education in South Africa. The programme comprises two major activities (1) Developing capacity for SoTL by staff and (2) Developing SoTL conference presentations and publications. This is facilitated through structured support involving research workshops, writing retreats, and continued sustained support from CELT project team members throughout the duration of the programme. The workshop was well received by the delegates, Dr Emem Anwana, from the department of Applied Law found the workshop very useful to her. She said that all 3 days were very informative and particularly liked the opportunity to be more involved in her research topic and phenomenon of her study thus she was able to sequentially structure her research in a logical sequence and flow. She was appreciative of SoTL and to CELT for organising the workshop. The SoTL Fellows Programme is led by Nalini Chitanand from CELT. Staff interested in participating in future SoTL programmes are invited to contact Nalini via nalinic@dut.ac.za.